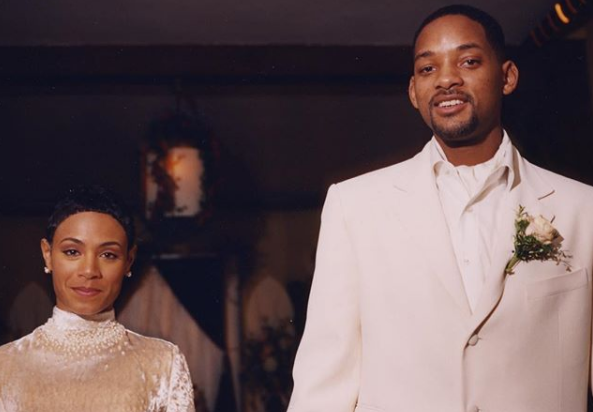 Will Smith explains why he doesn't tell people he is married to his wife of 20 years, Jada Pinkett Smith. Are Will Smith and his wife Jada Pinkett Smith experiencing marital blues? One might think that after Will revealed that they no longer refer to themselves as a married couple. During an interview on TIDAL’s Rap Radar podcast this week, the 'Independence Day' actor explained why they don't say they are married anymore. “We don't even say we're married anymore. We refer to ourselves as life partners, where you get into that space where you realize you are literally with somebody for the rest of your life." Will added that nothing could break their relationship. “There’s no deal breakers. There’s nothing she could do — ever. Nothing that would break our relationship. She has my support till death and it feels so good to get to that space," he said. The couple, who got married in 1997, often make headlines for their unconventional relationship. Last month, Jada revealed that Will Smith goes on vacation with his ex-wife, Sheree Zampino, without her. Will and Sheree, whom he was married to for almost three years, have a 25-year-old son named Trey together. The trio most recently went to Jordan and Israel together. Jada says she wants Trey to witness his parents having "healthy" interactions together. "I feel as though Trey needs to feel that dynamic between his two parents. That’s very important that he can feel that connection and feel where they do meet. So he can feel that parental connection. I think that’s important. They actually just came off of one. She went to Jordan and Israel with them," she said during an interview on American radio show Sway's Universe. The 46-year-old, who is well aware their marriage is an 'unconventional' one, added that she will never divorce Will because they are family.